What is Yelp Health Score? Over the years, popular online review site Yelp has added Yelp health scores to Yelp business pages. These scores are displayed across Yelp’s mobile, app, and desktop platforms. The reason behind Yelp health scores is simple: people should be able to eat at a clean restaurant. 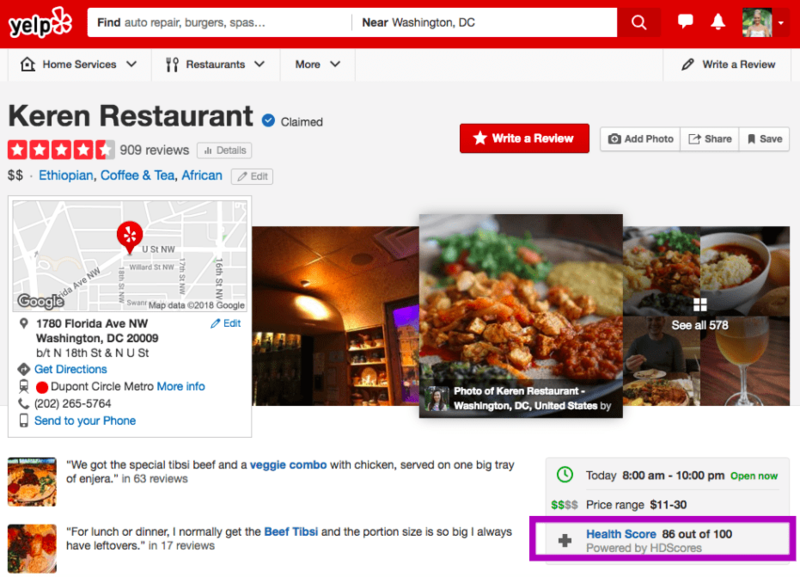 Currently, Yelp health scores are displayed on the business pages of over 350,000 restaurants in the US. This means that Yelp users can view a restaurant’s health score on its page, alongside other types of information like hours, price range, parking information, and noise level. Also displayed is a list of a restaurant’s violations (if any), like bad plumbing or the presence of rodents. The Yelp health score is part of the review site’s Local Inspector Value Entry Specification (LIVES) program, which was launched in 2013. LIVES is an open data standard that displays local municipalities’ hygiene inspection data as a business attribute on Yelp. The data can be seen as an aggregated health score (based on a scale of 100) on restaurant review pages. Full reports are also available, providing details of inspection history, violations, and other inspection data collected by local health departments. 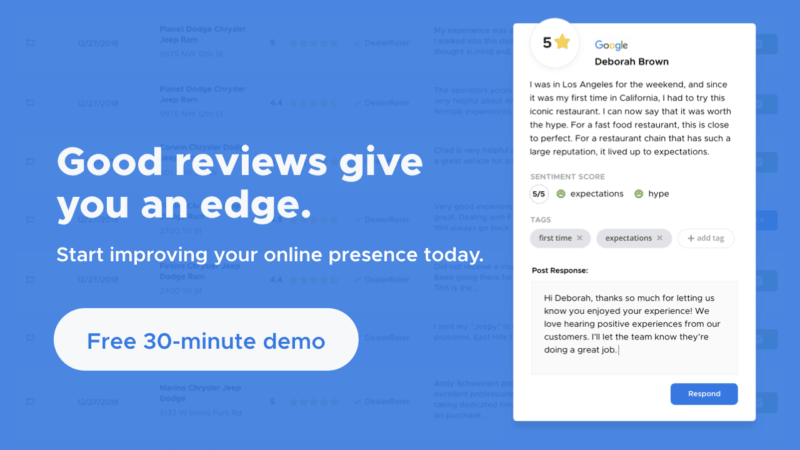 In early 2018, Yelp rolled out LIVES nationally, adding health inspection information to more than 200,000 business pages, both in partnership with local governments and by working with HDScores, which maintains a nationwide database of health inspection reports. To provide Yelp health scores, the review site continues to incorporate more of the HDScores database, which covers three quarters of the US population across 42 states. If a local health department does not provide inspection scores, HDScores calculates its own score (based on a 0 to 100 scale) based on past inspection results of a business. Where Does Yelp Health Score Information Come From? In order to provide accurate health scores, Yelp depends on both local governments and HDScores to keep their data feeds up to date. Each jurisdiction uses a slightly different reporting method, which HDScores first interprets to generate core data. Where a jurisdiction provides a self-rating or ranking for its restaurants, HDScores uses this score and provides the data to Yelp. Depending on the procedures of a restaurant’s inspection jurisdiction, this score could be reported in many different ways, such as a letter (A,B,C, etc. ), a score of “Pass” or “Fail,” a numerical rating, etc. In the case where jurisdictions do not provide a self-generated ranking, health scores are calculated relative to other restaurants in the area, so a restaurant’s Yelp health score can change even without a new inspection. Each restaurant inspection is assigned a score based on the number of demerits. The lower the number of demerits, the cleaner the restaurant. To account for one-time events versus a systemically poor restaurant operation, HDScores averages the scores over a time period and assigns more weight to the most recent score. For example, a score that is a year old might have half the weight of a more recent score. It goes without saying that you have to keep your restaurant always squeaky clean, regardless of whether or not your place is listed on Yelp. If it is, then all the more reason for you and your team to apply best practices in food safety, sanitation, hygiene, and even reputation management. According to a 2018 study, posting Yelp health scores prominently on a business page leads to a 12 percent decrease in purchase intentions for restaurants with poor scores (relative to those with higher scores). You’ll also be doing the general consumer public a favor: when consumers have better exposure to health scores, the number of hospitalizations due to foodborne illness drops. What if my Yelp health score is incorrect? Yelp updates health scores regularly, dependent on new data provided by each municipality. However, the review site depends on both local governments and HDScores to keep their feeds up to date. If your score is incorrect or outdated, please contact your local health department or HDScores. To view the contact information, click or tap on the Health Score link from your Yelp business page where you’ll find an email or website link. Please note that there isn’t an opt-out option or the ability to remove Yelp health score information, and it’s displayed regardless if the business is claimed or has advertising features.